In the Healthcare industry, to maintain a competitive edge, it is important to have customer ready content available to RFP teams, Sales Teams, IT, Subject Experts and Clinical Services in order to create articulate and consistent responses to business questions and opportunities. 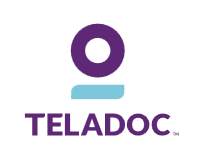 Teladoc also uses a cloud-based system to house their mission-critical content but found it to be over-complicated and therefore under-utilized. Teladoc implemented the Expedience Microsoft Word-based Content Portfolio and an automated Frequently Asked Questions (FAQ) document for the Account Managers and Sales Team. “I like that you can have multiple smaller collections of content in manageable mini-databases” continued Esmedina. “That makes it much easier to share the content with other departments who get questions from clients.